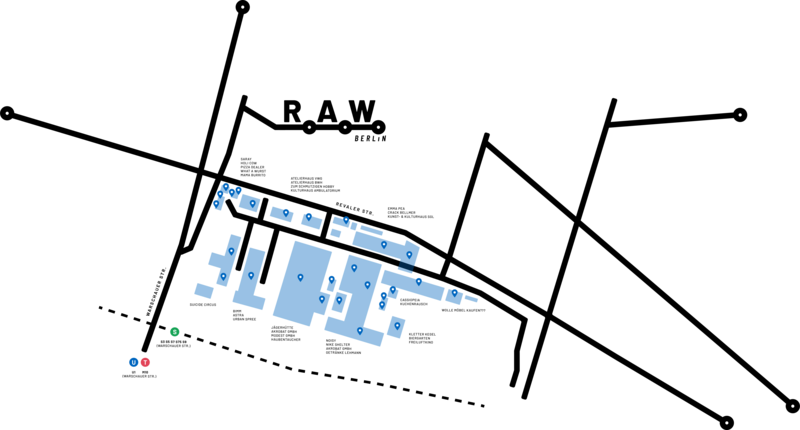 Areas in the city center are being developed, new neighborhoods are emerging – the city is marked by constant change. This development is also part of the DNA of the R.A.W. site: after more than a hundred years of industrial use, parts of the site have accommodated artistic, cultural and commercial activities since the beginning of the 21st century. 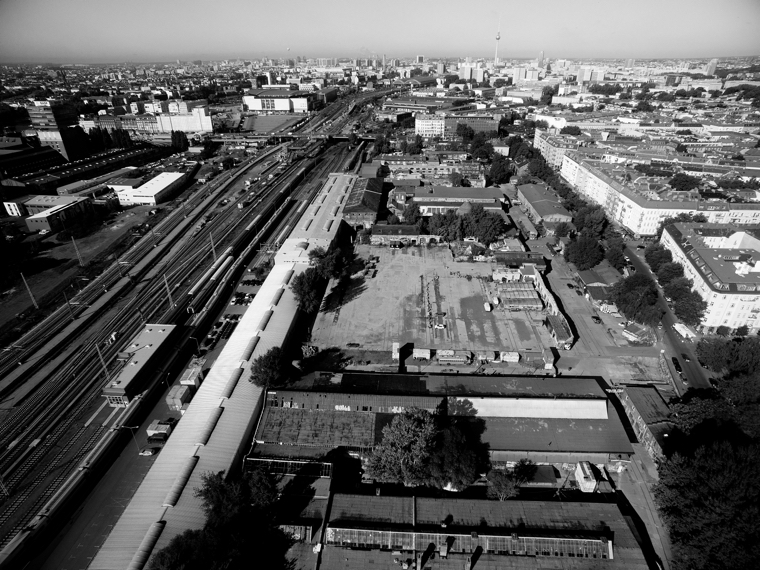 Due to the considerable amounts of fallow land here, in the center of Berlin, the dialogue process concerning the future of the site should build on its decades-long function as the central and mixed-use district in the functional city. The unused parts of the property should generate workspaces, educational facilities and spaces that cater for a variety of needs and wants of todays society. In this way the area can again become an important contact point for people not only in the district, but from all over Berlin and beyond its borders. Berlin-Friedrichshain is also part of the extensive transformation process that the metropolis Berlin has undergone over the last several decades. The Friedrichshain-Kreuzberg district has shown strong development in recent years and is not only home to a large number of new residents, but has also developed a wide range of different uses. 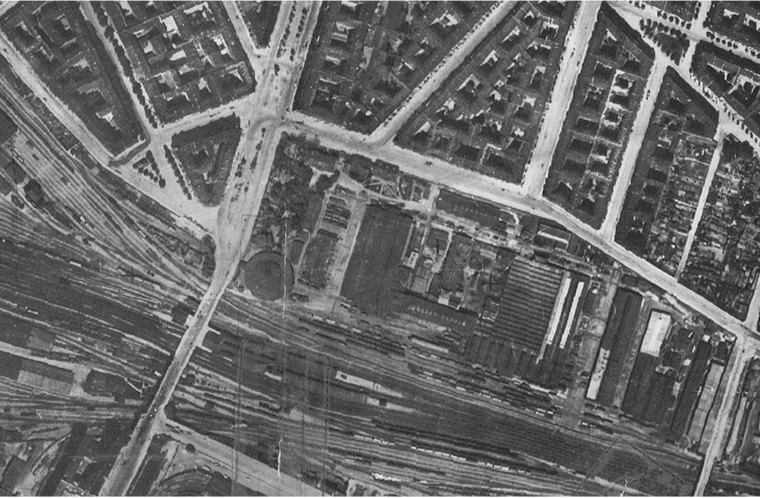 These include, among others, R.A.W.’s facilities on the former industrial wasteland left by the former Reichsbahnausbesserungswerk (National Railway Repair Works) of 1867. When we bought large parts of the R.A.W. site in April 2015, we did so deliberately, because the history of this place plays an important role for us. We acquired the R.A.W. site because it offers enough space in the heart of the city for a range of uses in the fields of art, culture, music, party and leisure. However, the DNA of the site also means that it has provided jobs for decades, was a training center and thus an important point of contact for people in the district and beyond. We want to preserve, promote, restore and expand this multi-layered DNA as best we can. For us, development means supplementing existing offers in a meaningful way, remedying problems, securing qualitative existing buildings, using brownfields and closing structural gaps so as to preserve the R.A.W. site and, at the same time, continue the R.A.W.`s history and perpetually update. In order for this to succeed, it is important to carry out the planning process and, above all, to involve those who are particularly interested in the R.A.W. site’s future, such as residents, interested Berliners, district representatives as well as cultural experts, local interest groups and, of course, our long and short-term tenants on the site. Do you have ideas for the R.A.W.? A communal R.A.W. is a better R.A.W. Use this form to submit proposals for further development of the site. What do you want for people who use the R.A.W. site? 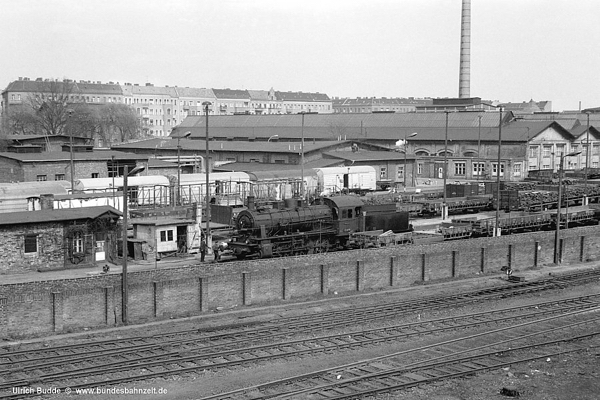 In 1867, the “Royal Prussian Railway Workshop Berlin II” was built on today’s R.A.W. site. It is part of the early economic boom, during which Berlin rose to become the fourth largest city in the world until the beginning of the 20th century. Only a few hundred meters northwest of the workshop area, the old Ostbahnhof (unofficially: Küstriner station) is officially opened on October 1st of the same year. It connects the Prussian capital with East Prussia. 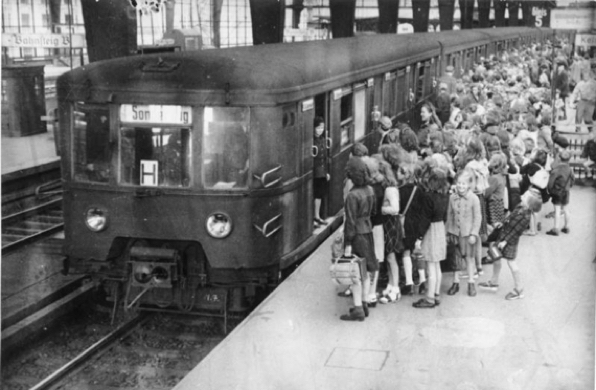 As early as 1882, the plant was extended to provide the Berlin light rail with maintenance and care work. By the end of the First World War, the number of employees increased to 1,200 people. The railway workshop is renamed Reichsbahnausbesserungswerk (National Railway Repair Works) in 1918, after the abolition of the monarchy. The period of the Weimar Republic, and from 1933, the “Third Reich”, marks the end for a large part of the industrial facilities due to an air raid in 1944, which destroyed almost 80 percent of the area. After the war, the plants are rebuilt and, for the 1967 centenary, renamed “Reichsbahnausbesserungswerk (RAW) Franz Stenzer”. The GDR thus commemorates the Communist Reichstag deputy and Bavarian railway worker, who had been murdered in 1933 in the Dachau concentration camp. After the fall of the wall the plant is gradually shut down until 1995, with the exception of two halls linked to the original use. Talgo-Werk Berlin employs only around 110 people who maintain trains and locomotives, as the German unification has resulted in an oversupply of repair and maintenance capacities. 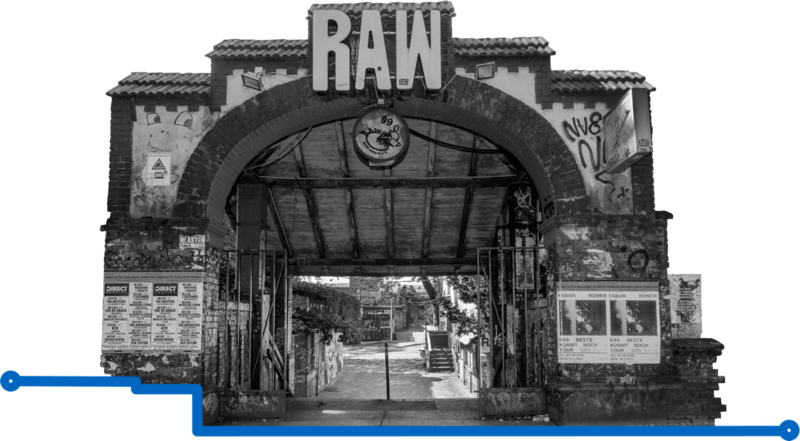 Not much happens on the site until 1999, where in July of this year, art and cultural workers begin to utilise the buildings on Revaler Straße for temporary use under the umbrella of the specially founded RAW-Tempel association. Gradually, further cultural and culinary uses are established on the site, a typical process for fallow lots in the reunification period in Berlin. In 2007, Vivico Real Estate sells the largely dilapidated area to a private investor group, which, however, does not protect, refurbish or further develop it. Some of the users and tenants are also investing in the dilapidated structures in order to temporarily use it for commercial and non-profit purposes. Parts of the site will be temporarily repaired and temporarily leased to cover the significant running costs. Over the years, there are mounting complaints from the R.A.W. site’s residents, visitors, and tenants due to the increase of thieves, drug dealers, and other criminals. Since April 01, 2015, the Kurth Group has been the owner of the 52,000 square meter area on the R.A.W.